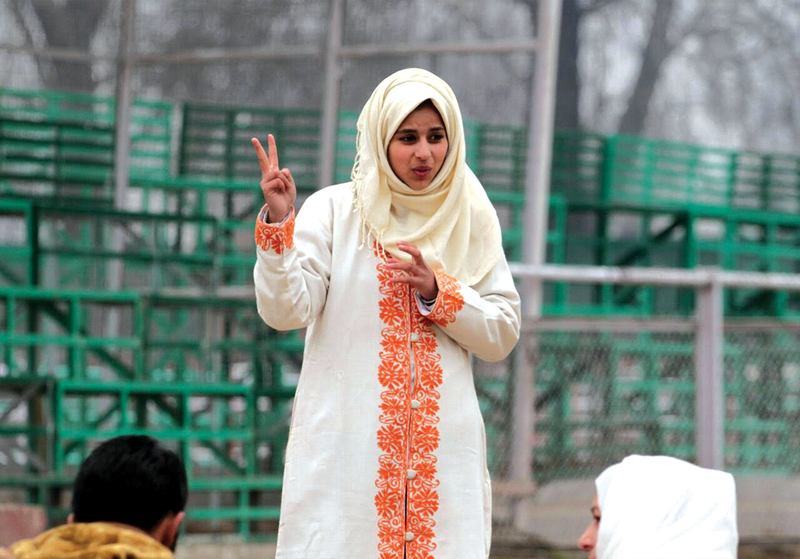 For Arwa Imtyaz Bhat, 16, a resident of Srinagar’s uptown Nowgam, communicating with her mother Rehana, a deaf and dumb, was an everyday struggle. In order to overcome this communication hurdle, Arwa decided to learn sign language. Once she mastered the art of communication using sign language, she wanted to help other people who couldn’t speak or talk. When Arwa was in fifth standard, she stated spending more time with deaf and dumb people so that she could pick up the basics of their language. At the age of 11, Arwa started bonding with deaf and mute players by accompanying her uncle, Mohammad Saleem, former General Secretary, Jammu and Kashmir Cricket Association of the Deaf. “Bonding with these people took a lot of time and efforts. It was not easy for them to trust me with their feelings. But once I started spending a lot of time with them, they started opening up,” said Arwa. Since then Arwa is helping these sports persons to communicate with people around them whenever on a tour. “I often accompany during district, state and national level events and help them communicate,” said Arwa. But Arwa lacks resources to even pursue her education as her family is struggling to meet their day-to-day expenses. “I don’t ask for any monetarily compensation against my services for these people. I feel great whenever I am with them. They are like my family now,” said Arwa.